Vonage has had a strong focus on residential VoIP since their beginning back in 2001. 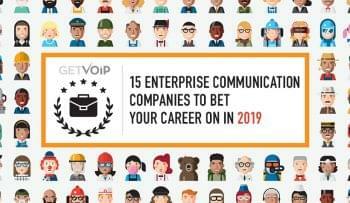 They have remained as one of the leading residential VoIP providers for some time now, and have recently even managed to take the business market by storm. While CEO Alan Masarek has made it clear the provider is looking to shift into the business and enterprise market, Vonage will continue its legacy as a robust residential provider. While they do stand to have a strong offering, that doesn’t mean Vonage is the be all, and all of residential VoIP offerings. They manage to hit the important points, cost, features and reliability, but not every provider is a perfect fit for every business, or home. Just like any purchase, if you’ve decided its time to ditch your landline for a VoIP service provider, it is imperative to shop around and do your homework. Thankfully, we’re here to help – so we rounded up a list of what we feel are the strongest Vonage alternatives for your home phone, just in case Vonage doesn’t meet all your needs. With an inexpensive 2-year contract your monthly payments will be as low as $6.21, and even the ability to even pay your annual contract upfront, VOIPo is a great value option. With unlimited calling to the US and Canada, VOIPo manages to match Vonage’s North American plan, and VOIPo even includes the first 60 minutes of international calling for free. 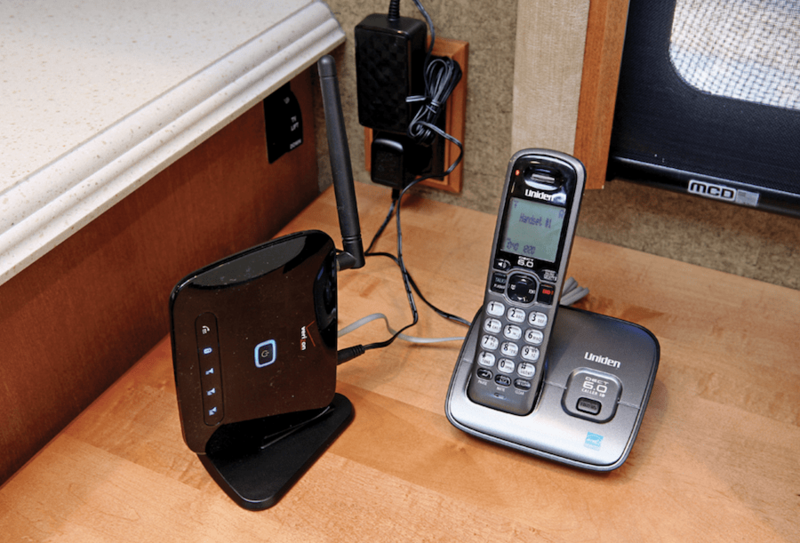 A free VoIP adapter, free shipping and even free activation helps keep the setup costs low when switching or adopting VoIP for the first time in your home. With a wide range of features such as a free rollover line, a softphone app with the ability to make calls or even send and receive texts, three way calling, call blocking and do not disturb, VOIPo manages to offer similar functionality of more expensive plans at almost half the cost. Free number porting, as well as email and phone support from 8 a.m. to 6 p.m. help sweeten the deal. With boasts of remaining the number one ranked phone service 5 years in a row right on their homepage, Ooma makes it clear they are proud of the service they offer. Ooma does not charge you for calls, or minutes or even service, but instead charges you for the Ooma Telo, their router and VoIP adapter built into one. Unfortunately, the entry cost is a little high, with the Telo retailing for about $99.99 on Amazon, but with everything included it makes sense. U.S. and Canada calling will be free, always. There are no monthly or annual payments to make or contracts to sign. International calls start as low as 1.4 cents per minute, or you can add on an international plan for unlimited calling for $17.99 a month. Ooma might not be best option for someone that makes frequent international calls, but with the low per minute rate for the standard plan, those that make infrequent international calls won’t have to break the bank. An online portal for your Telo lets you configure the service, check call logs and even setup advanced home-based servers or other network devices, as the Telo is a high-performance firewall router. Customer reviews of Ooma rave about the quality of service, and unique integrations like the ability to make calls with the Amazon Echo continue to help justify the higher cost of entry for Ooma service. They also offer, a business solution called Ooma Office. While not quite as inexpensive as VOIPo, PhonePower offers a cheap one-year contract with monthly payments of $8.33. For those that don’t like to commit to the minimum 2-year contract of some providers, PhonePower keeps things short. Of course you can choose to pay monthly without a contract, like with most providers, but your cost will jump up to $19.95 a month. But with their inexpensive 1-year contract, unlimited U.S. and Canada calling, 60 free international minutes, and a bundle of features PhonePower makes a pretty strong case for themselves. Free activation, free number porting and a free cloned second line continue to keep the initial cost down. PhonePower also includes a free internet faxing service with all their VoIP lines so if you tend to send or receive faxes frequently, PhonePower stands to be a solid choice. Even with a one-year contract, your service includes more powerful features like voicemail to email, anonymous caller rejection, and simultaneous ringing. At first glance, ViaTalk does not seem to match the offerings of other providers when it comes to price, but when you take a closer look it begins to make sense. Their standard Unlimited plan beings at $15.75 a month – but this is without a contract, where other providers tend to hover in the $20 range, or even $24.99 for Vonage. If you sign up for annual payments of $189 a year, your monthly cost will be the same – but ViaTalk will throw in an extra year for free if you are a first time ViaTalk customer, or have not had the ViaTalk service within 60 days. This brings your cost down to about $7.88, which puts it in the perfect spot for our list. Combine this offer with no setup or number porting fees, unlimited calling to the US and Canada, free 60 minutes of international calling, a fully fiber optic network, two phone lines and even premium features like call recording, and the package comes together as a solid offer. All of ViaTalk’s plans also include 24/7 customer service, so whenever something goes wrong you have the peace of mind of constant help. One of the original residential VoIP providers still around today, MagicJack offers a similar solution to that of Ooma. magicJack offers either the magicJack Go or MagicJack Express, and structures their plans around these devices. With the magicJack Go, users pay a one-time initial fee of $59.95 for the adapter itself, which includes 12 months of free service. Every year after that you simply pay $35 per year, which would only about $3.00 a month. This of course includes unlimited local and long distance calls to the U.S. and Canada, and a host of features like free conference calls with as many participants as you want, free caller ID, call forwarding, call waiting – the usual’s. MagicJack also includes their mobile app for free to boost the mobility of your service, with a built in soft phone, and simultaneous ringing. International calls are charged on a per country basis and rate will vary, but generally float under 4 cents a minute. MagicJack offers a service similar to Ooma, with a lower up front cost, but an inexpensive annual charge. With their basic residential plan starting at $9.99, ITPVoIP matches Vonage in the price department, and manages to keep the cost of adopting low with no setup fee and free number porting. However, the plan only includes 500 free outbound minutes, with unlimited inbound minutes. But what ITPVoIP does a little different is their payment structure, allowing you to tailor the service with a menu style approach. You can purchase only the add-ons or features you need to tailor your phone service to what suits your home best. ITPVoIP also doesn’t skimp on the features, allowing for Outlook integration, call recording and Do-Not-Disturb features. The first month of service with ITPVoIP is also free, and the adapter necessary to get your service up and running is included free. Even more features like mobile app, voicemail to email, outbound call blocking with black white lists help offset the limited number of calling minutes by giving you more bang for your buck. In a similar fashion to ITPVoIP, 1-VoiP unfortunately puts a limit on your outbound calling minutes to North America for their basic plan, with 500 allowed for $8.97 a month. However, incoming minutes are unlimited, all hardware necessary to get your service up and running is included, there is no term commitment, and a solid list of premium features helps round out the offering. Upgrading to the unlimited plan puts your cost at $17.97 a month, but adds in free shipping for any and all hardware 1-VoIP sends you. But what really makes 1-VoIP stand out is the free service bundled with your plans, called Nomorobo. Nomorobo stops those pesky, unwanted robocalls and even telemarketers from interrupting you at dinner time by filtering out the bad and letting through the good, like automated calls from schools or pharmacies. Combine this offering with 100% U.S. based 24/7 customer service, a Service Level Guarantee of 99.999% uptime, a network with 4 fully redundant switching centers, the usual and premium features like digital call forwarding, Do Not Disturb, softphone apps, and online faxing for what turns out to be a really competitive service. netTALK operates in a similar fashion to Ooma, but even closer to the service provided by magicJack. An initial $25 fee for the service’s DUO adapter with Wi-Fi, or $15 for and adapter without Wi-Fi, combined with a pay-as-you-go model means no contracts or long term commitments to the provider. Although, after purchasing the device your service still requires an annual charge of $39.95, but that brings the cost to about $3.33 a month, well under some of the other providers on this list. Calling to the U.S. and Canada is unlimited, with standard features such as there wall calling, and caller ID blocking. netTALK is one of the few providers on our list to also include online faxing with their VoIP lines, voicemail to text, and also allows for free conference calling up to 20 people. A mobile app is also included to keep in contact on the go, and allow the service to ring your smartphone when your homophone rings. Number porting is possible, but they will charge you a one-time fee of $19.95. An online account manager also makes it easy to stay on top of your service. Axvoice continues the trend of cutting back on monthly payments with the option to pay annual for a total cost of $99 per year, about $8.25 a month if you break it down. Higher than some others on the list, but this price also includes unlimited inbound and outbound calls to the U.S. and Canada, an online account management portal, free equipment to get started, and all the features you would ever need. 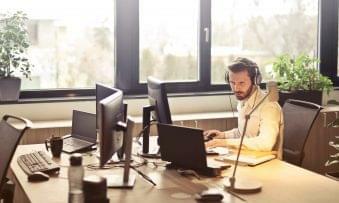 Something that stands out with Axvoice is the option to choose which voice codec your service uses, from G.729, GSM, G.711u and G.711a – so even if you don’t have the highest spend internet connection in your home, this option ensures you can select the appropriate codec for your bandwidth limit. This unique feature alone can help cut down on many of the woes of VoIP, like the jitters and random silence in your calls. Music on hold is another unique feature included, although more of a novelty, but allows you to personalize your phone service beyond just a voicemail greeting. Other features included match the other providers on our list, like Do Not Disturb functionality, a blacklist to block numbers, anonymous call rejection, call filtering, simultaneous ringing, and even a Failover feature to forward calls to any number you want if your internet or power goes out. BroadVoice allows for a more flexible pricing model, with the ability to pay for one year upfront, sign up for a 1-year contract, or pay as you go for monthly payments. Paying upfront allows for the best savings, bringing your cost down to about $8.33 a month for a total cost of roughly $99 for the whole year. BroadVoice includes unlimited inbound and outbound calls for the U.S. and Canada with all of the payment options, and even includes a free adapter as well as a free second line.The first 60 minutes of your international calls are included for free as well. It is important to point out a reoccurring $23.76 per year Regulatory Recovery Fee, which covers local number porting, CALEA compliance costs, and other regulatory fees. However, your service does include 7 day U.S. based customer service, online faxing – which also includes a unique function to turn voicemails into faxes – a mobile phone app which even allows for incoming and outgoing call recording, *69 call return, simultaneous ring, operator block, and anonymous call rejection and FailSafe functionality. BroadVoice also includes a 30-day money back guarantee to try out the service and determine if it works for you. The best residential VoIP provider you choose to handle the phone service in your home will come down to a case by case basis, and not every provider manages to cover all the bases for everyone. While cost is a large factor, it should not be the only consideration to take into account when selecting a provider. Vonage still has a solid offering, but when it comes to price, features or even international calling they can still be beat on some fronts. Very Nice explanation about home phone service and so many things.good work.